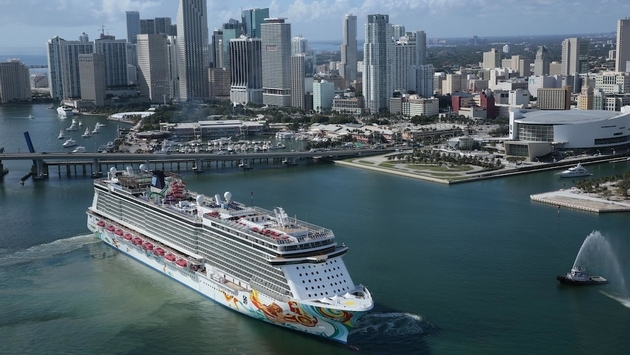 Despite stiff competition in Miami and fare discounting to lure back travelers after negative ship incidents last year, Norwegian Cruise Line CEO Kevin Sheehan is optimistic about the future. The challenges continue, but Sheehan still characterized 2013 as a “breakout year in Norwegian’s storied history,” because the line successfully went public in January. Additionally, new ship class the Norwegian Breakaway was met with instant acclaim when it was introduced in May. 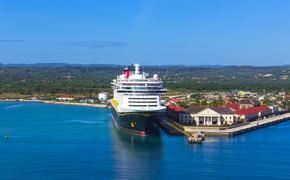 “I’m optimistic as travelers return to cruising” because they recognize the value offered by sea-going vacations, he said. Sheehan made the comments during a conference call with financial analysts to discuss full-year and fourth-quarter 2013 results. The company reported fourth-quarter profits of $40.5 million and adjusted earnings per share of 19 cents, compared to $5.6 million and 4 cents in the same period in 2012. Net income and diluted earnings per share on a GAAP basis were $36.1 million and 17 cents. For the full year, the company reported adjusted EPS of $1.41, which is above the top range of the company’s guidance and a 45.4 percent increase from 97 cents in 2012. Adjusted net income for the year was $295.8 million compared to $173.1 million in 2012. Net revenue rose 19.3 percent in the fourth quarter and 13.4 percent for the full year, the result of the addition of the Breakaway, higher ticket pricing and onboard spending. Sheehan’s optimism could also be due to the successful christening of the 4,000-berth Norwegian Getaway on Feb. 7. The German shipbuilder Meyer Werft completed the ship one month early, so the line was able to accelerate the training of the crew, meaning it operated like a “well-oiled machine” by the time it began revenue cruising, he said. Norwegian has two 4,200-passenger vessels on order at Meyer Werft. The Norwegian Escape is scheduled for delivery in fall 2015 and the Norwegian Bliss in spring 2017.